This online fire awareness training, level 1 course is aimed at anyone who requires a workplace fire awareness certificate in fire safety. 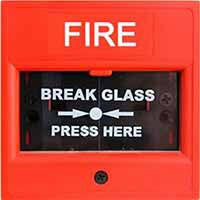 This course is designed to meet and comply with the Regulatory Reform (Fire Safety) Order 2005. This course has instructor led presentations, as it uses a video based training programme and is RoSPA approved and also CPD certified. Once you have completed the simple registration process you will be able to download all course materials associated with the course, so that you can follow the course content as you progress through the training. The course covers the latest fire safety regulations, the fire triangle, evacuation procedures, equipment, good housekeeping, the law, your training requirements and more and each training video can be rewound to get a better understanding of the course content, which can be viewed below. Fire awareness training, take action and get trained online. We can help you stay compliant with your workplace training requirements. This online awareness course comes with CPD Time Credits and on successful completion of the course you can download your CPD evidence statement and also print your fire training certification. We will also automatically remind you when your certification is due for renewal, so that you can retake this programme and this will enable you to always have an in date fire awareness course certification. The course fee for training is £25, which includes all course materials and certification and our online course covers all the required subjects needed for you to gain a recognised fire awareness certificate. Start your course by clicking the “Begin Training” button on the left. This fire awareness online training course is ideal for self employed persons, small offices and small shops, or can also be used as refresher training and for the home environment. This course is ideal to be conducted along side your own workplace fire risk assessment. For companies and individuals that require a higher level certificate, please see our fire marshal training page. For additional information regarding this fire awareness online training please contact us through our contact us page.